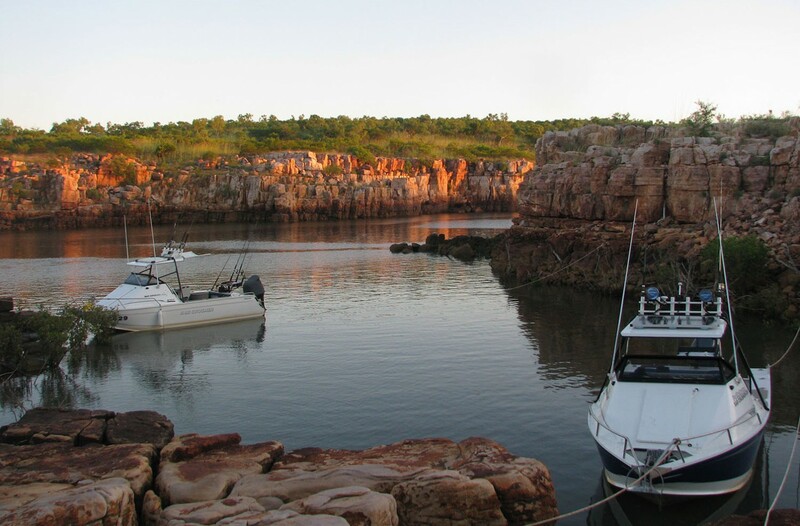 My father Bill and I have spent a bit of time in the remote northern part of the country, including a stint building Australia’s most remote school on Elcho Island (off the top of Arnhem Land), as well as other adventures into the Gulf of Carpentaria. 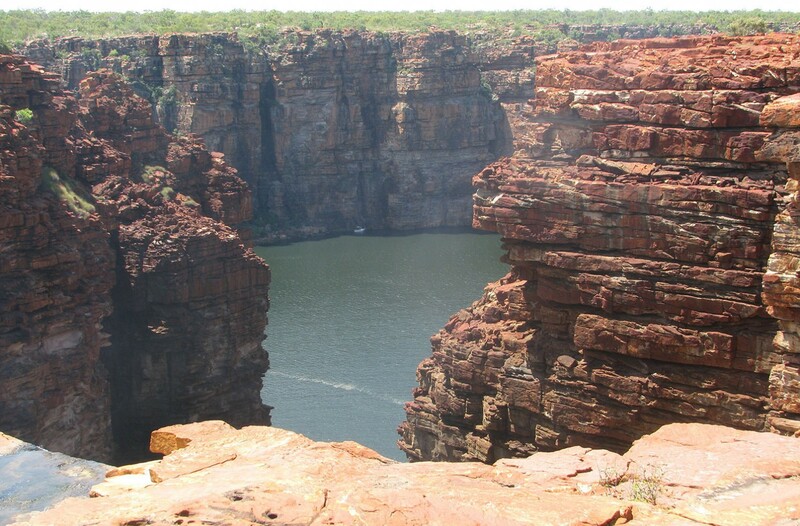 Our most recent trip was a month away from home checking out the East Kimberley region in Western Australia. We took our Bar Crusher 560C (the predecessor to the 610C and 615C), while a mate brought his Bar Crusher 620C (predecessor to the 670C). 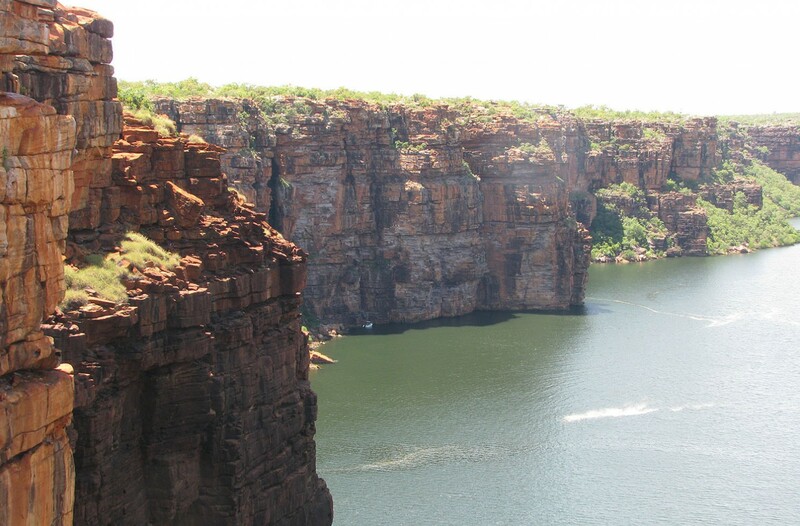 The trip involved a run from Melbourne up through the middle of the country via Alice Springs, Katherine across to Kununurra and out to Wyndham. We swagged it all the way in wayside stops to maximise our time on the road. 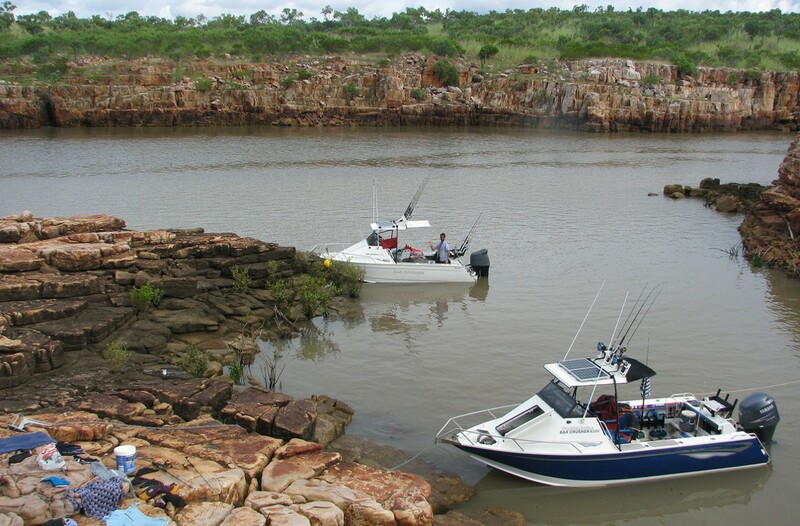 From Wyndham, we loaded the boats and fuelled up (a 200L drum behind each seat and another 200L in the underfloor fuel tank and jerrycans in the 560C; while my mate loaded 800L of fuel in his 620C), left the vehicles and embarked on a 900km round trip to explore the rivers of the rocky Kimberley coastline. The area was absolutely pristine. We saw very few other people and, in fact, the only other boat we came across on the entire trip (would you believe it) was a Bar Crusher! 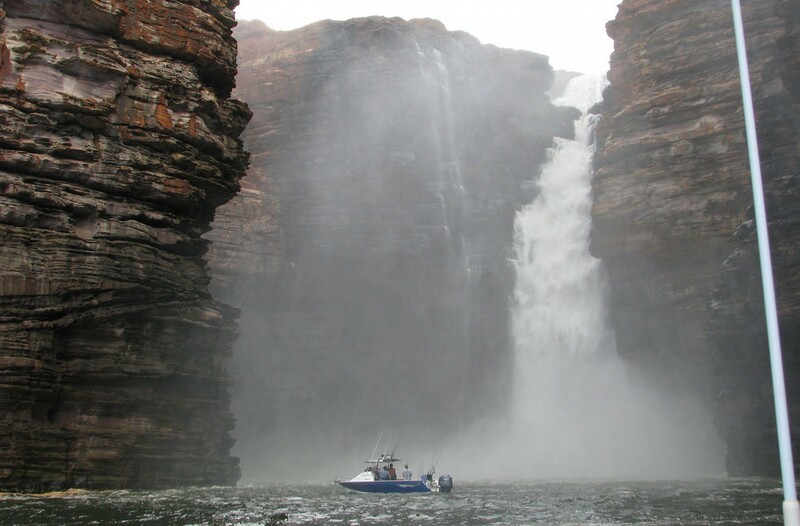 The areas we explored included the King George and Berkeley rivers, with the typical scenery each day of huge towering red rocky cliffs interspersed with the odd bit of open country and the odd beach. 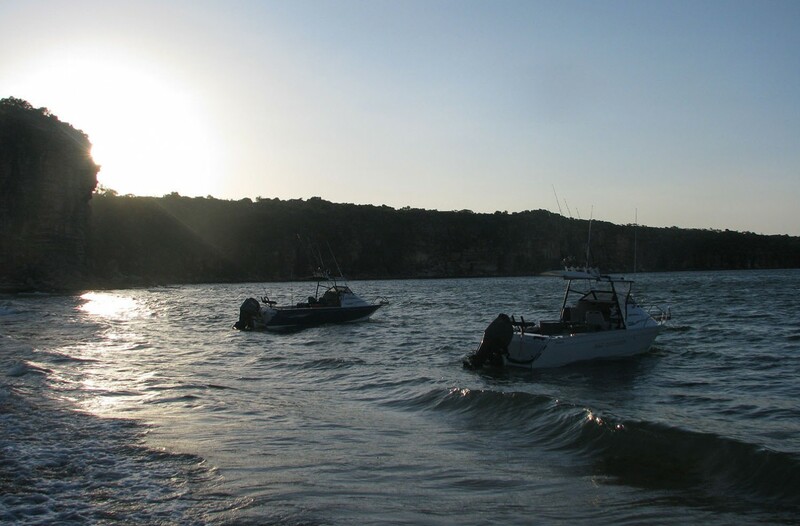 One of the challenges we faced was dealing with securing the boats so they were safe in the huge Kimberley tides (8m plus); ensuring the boats could rise and fall with the tide and be retrieved easily in the morning. 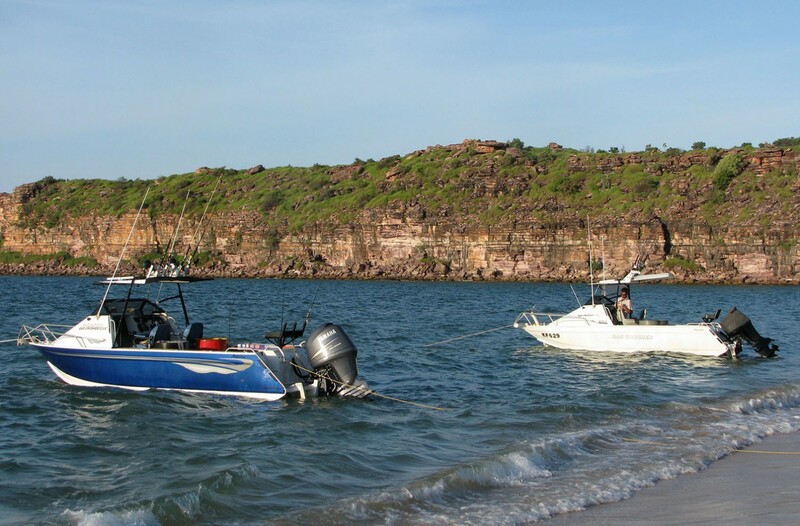 No-one really wants to swim out in croc-infested waters to retrieve their boat! We fished quite a bit and encountered the typical species in this part of the world – GTs, queenfish, barra, mangrove jack and fingermark (golden snapper). Live bait was good, while lures also pulled plenty of fish. Our Bar Crusher 560C has a 40L Engel fridge located between the bunks, which stayed on freeze for the entire trip to keep meat and fish iced down. The fridge is fed by an 80W solar panel on the roof, which ensured the batteries were always topped up. Powered by a four-stroke Suzuki 140hp, our fuel economy for the trip averaged 1.5km per litre – essentially 900km for 600L of fuel. We came back with around 20L remaining, while my mate returned with 100L from the 800L he loaded in his Bar Crusher 620C before we left. To prepare for the trip we did a few trial runs around Phillip Island (VIC), in an attempt to replicate the type of water we might encounter up north. A bit of rough stuff mixed in with some smooth water, we wanted to be confident in how the boat performed carrying such a load. 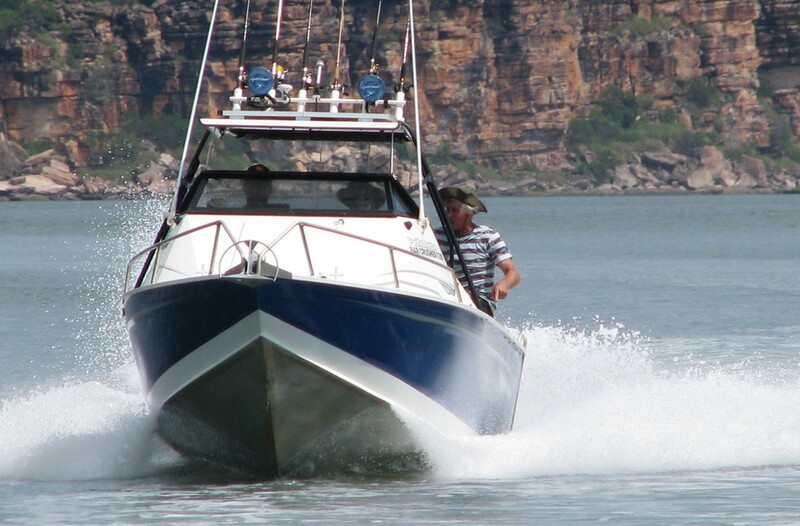 After sea trials with drums full of water and a load to replicate the actual load to be carried in the Kimberley, we left for the trip with a good idea of what to expect in terms of boat performance and fuel economy – and weren’t disappointed. It was an incredible adventure!